The advantages of having hamsters as pets are many. These animals are inexpensive to purchase and take care of, so you do not need a large budget. Care and maintenance for these pets is simple, and they do not require a lot of time. Hamster cage accessories are readily available and do not cost much, and keeping the cage clean is easy and quick. There are some drawbacks to having hamsters as pets as well, and these may outweigh the benefits for some families. These pets do not enjoy being held or petted, and prefer hamster wheels and other solitary activities. Hamsters may bite, and this can be painful although not serious. If more than one hamster is kept in a cage then surprise babies can happen, and hamster can breed quickly. These animals are small and can be injured easily, and if they escape they can be difficult to find and capture. 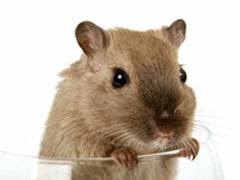 Hamsters enjoy chewing, and this includes your furniture and wiring. Some owners who have had escapes have had house fires caused by this pet. Choosing hamsters as pets should only be done after you consider this decision carefully. A hamster is a responsibility, and you will need to spend some time and money caring for your pet properly. They can be enjoyable pets, and watching them play with hamster toys is very entertaining. For families with older children hamsters can make a great pet, but they are not the right choice for everyone. Make sure this rodent is the right pet for your family before you bring one home. Children should always be supervised when handling your hamster, to make sure no one gets hurt.